This week’s hours will be Tues. Mar. 6th-9:30 am-12 and Fri. Mar. 9th-3:30 PM-5 PM. March special-Get 1 free tote bag with the purchase of $5 or more while supplies last. $1 select Easter basket items. Religious Articles Store: The clearance sale is still in effect, store hours will be as follows: Tues. Feb. 27th-9:30 am-12 noon Thurs. Mar. 1st-3:30-5 PM and Fri. Mar. 2nd-4-6 PM. Our Religious Articles Store is almost ready to be re-opened! You are all invited to come see our new look and grab some good deals on Tue. Feb. 13th from 9:30AM-Noon and Thursday Feb. 15th from 3:30PM-5PM we will be having a 50% off sale on some items. Come meet our new coordinator Natasha Wells, who answered our call for a volunteer to coordinate the store. She has been working to re-arrange and take inventory. We appreciate her hard work and enthusiasm. If you can volunteer an hour or so, please call the parish office. 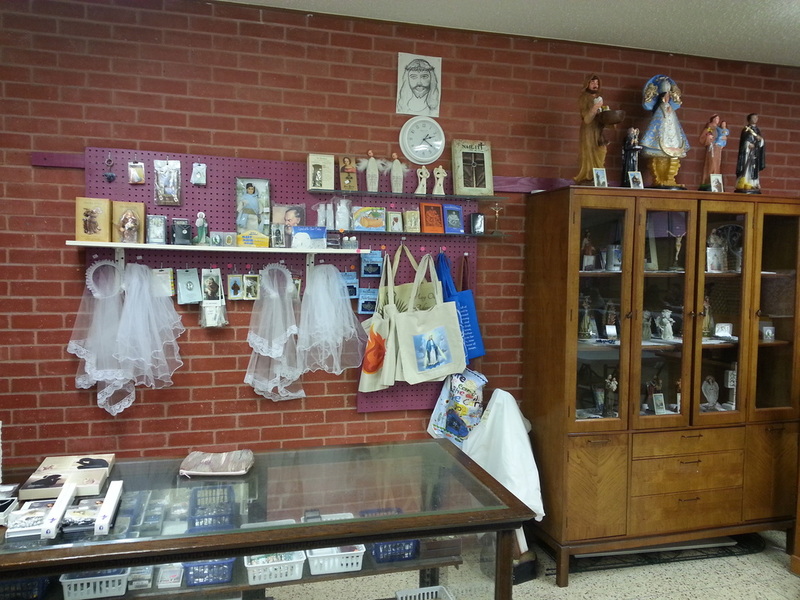 The religious articles store of St. Mary of the Visitation is located in the parish hall. The store is open after all Sunday morning Masses during the scheduled breakfast. If a breakfast is not scheduled, the store will open upon request only. Please consult the current weekly bulletin for scheduled breakfast times. If items are needed outside of these times, please use the contact form to reach us. We will make an effort to accommodate your requests. Plus a variety of other religious articles and gift items. Candles for use in the Blessed Sacrament chapel are available through the store as well as the parish office.